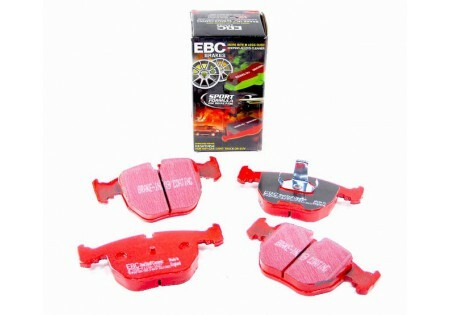 As EBC's flagship street brake pad material for prestige and faster cars above 200BHP the 09 version on EBC Redstuff sets new standards in brake performance. Redstuff has always been known for its low dust ability but the latest blend has greatly reduced the phenomenon of pad ''Pick up'' or disc scoring and reduced dust even further. 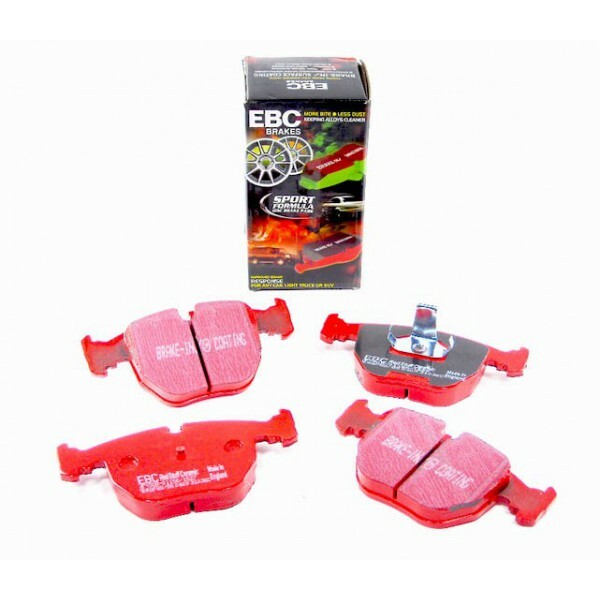 EBC Redstuff however as a harder compound does take longer to fully bed in to achieve its highest levels of performance (can be up to 1500 miles/2500 Kms urban use) during which time the odd ''Chirp'' of brake noise may be heard when starting from cold in damp and cold conditions at walking pace speed. One press of the pedal to clear the rotor of any dampness and this disappears to leave EBC Redstuff a pad that inspires confidence in all cars. The motto is be patient give the pads a full chance to bed down. Awesome stopping power is guaranteed with the 3000 C Redstuff ceramic series with higher heat threshold than Greenstuff. For track use drivers should choose Yellowstuff option.